Andy’s love of all things real estate began when he purchased his first condo with funds saved from his summer jobs and working while in high-school. Even though he was only 19, with the support of mother who backed the mortgage, Andy became a homeowner. Following his graduation with a Bachelor of Commerce from the University of Calgary, Andy worked in oil and gas as a Mediator. This incredible experience gave Andy the valuable skill of being able to enter into extremely tense situations and work collaboratively with both sides until they both walked away happy. In his spare time, Andy completed his real estate associates training and has been a full-time agent since 2008. While it was a bad year to come into a tremendously slow market, he was able to navigate the significant downturn and made it work to his, and his client’s advantage, through a combination of hard work and a focus on client relationships. 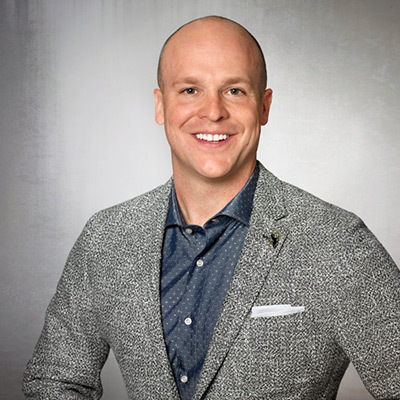 Andy’s depth of experience is impressive: from small starter condos to million-dollar penthouses and from homes in Calgary’s bedside communities to inner-city luxury buildings he’s seen and successfully sold in each and every category. Andy’s clients appreciate his strategic approach, adaptability and relentless determination to help them achieve their real estate goals. Whether it’s dropping everything to get buyers into a home minutes after it hits the market, pre-market listings for instant traction or helping coordinate the perfect marriage proposal he goes out of his way to make sure his clients get the best service possible. And that’s why we’re happy to have him at Charles.